As a child, in her father’s optical shop in a small beach town in Florida, her father taught Ashley the art of frame styling and optics. As a very experienced optician, she has spent a lot of time studying and understanding digital lens and frame design. 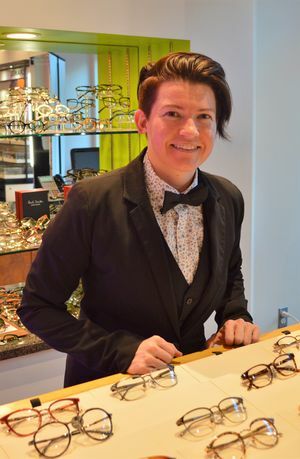 We would consider Ashely an expert in fitting corrective lenses and selecting the beautiful pieces of eyewear. She enjoys eating different types of foods, playing golf, indoor rock climbing, traveling, and spending time with friends and family.